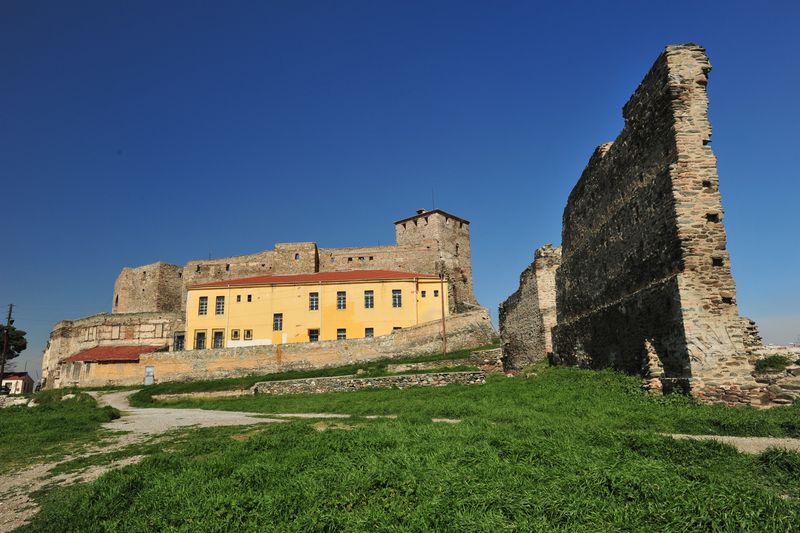 The lie of the Byzantine walls of Thessalonike coincides with that of the Roman ones. Built of wide courses of undressed stones and narrow ones of brick over a length of five miles, they were almost square in plan and 30-36 feet in height, while to the north they were joined to the walls of the Acropolis. Fortified at intervals with towers and gates, the wall was a double one, at least in the more level sections, the inner and outer wall having a distance of ten metres between them. There were no gates in the sea walls, while the artificial harbour built by Constantine the Great within the walls had a low wall around it facing the city and a breakwater, the Tzeremboulon, on its seaward side. Extensive rebuilding of the walls was carried out in Early Christian times (late 4th-early 5th centuries) by Ormisdas, while frequent barbarian raids in the 5th and 6th centuries necessitated frequent reinforcement of the walls. The ease with which the Saracens captured the city in 904 through the defenders' negligence led to the walls being strengthened to resist the danger presented by the Bulgarians. Major repair work was undertaken in the 13th and 14th centuries by the Palaeologan dynasty both to the walls (e.g. the Anna Palaeologina Gate) and to the Eptapyrgion (Acropolis). Venetian indifference facilitated the capture of Thessalonike by the Turks, who then paid great attention to the city's fortifications.